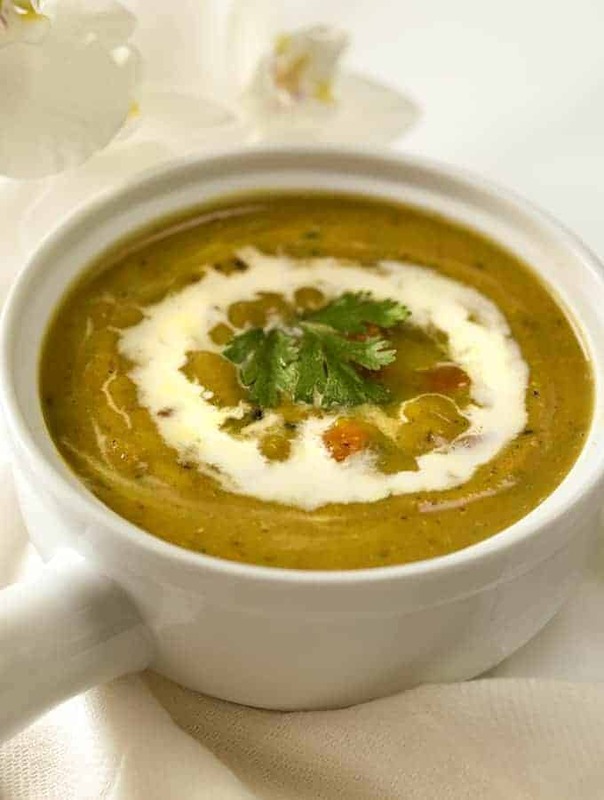 My Instant Pot Moong Dal Soup is a delicious traditional Indian soup recipe that you’ll absolutely love. This recipe is made super easy with the help of an Instant Pot and makes a delicious lunch or dinner recipe. If you want to try a delicious traditional Indian recipe but want something lighter, this dish is the dish for you! 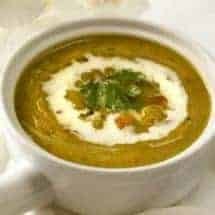 My Instant Pot Moong Dal Soup recipe consists of Moong Dal (split red lentils) and various vegetables and delicious seasonings, making this a great protein-rich vegetarian dish. 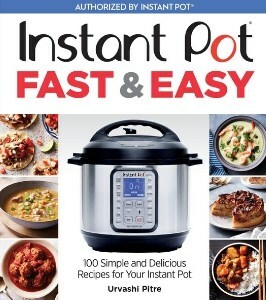 It’s made in the Instant Pot, so no slaving over the stove or long cook times for you. WHAT’S THE DIFFERENCE BETWEEN MOONG DAL AND A MOONG DAL SOUP? I don’t know how exactly to explain the difference between a dal soup and a dal to you. But I think two things are clearly different between dal and a dal soup. A dal is thicker and can be scooped up with naan or chappati for example. In contrast, a dal soup is to be drunk, or sipped up out of a mug. Maybe there are other differences you know of? If so, please let me a comment so we can all learn the differences. But really it’s just a nomenclature issue, because Moong dal and Moong dal soup are both equally delicious. Why chose? Make both I say! 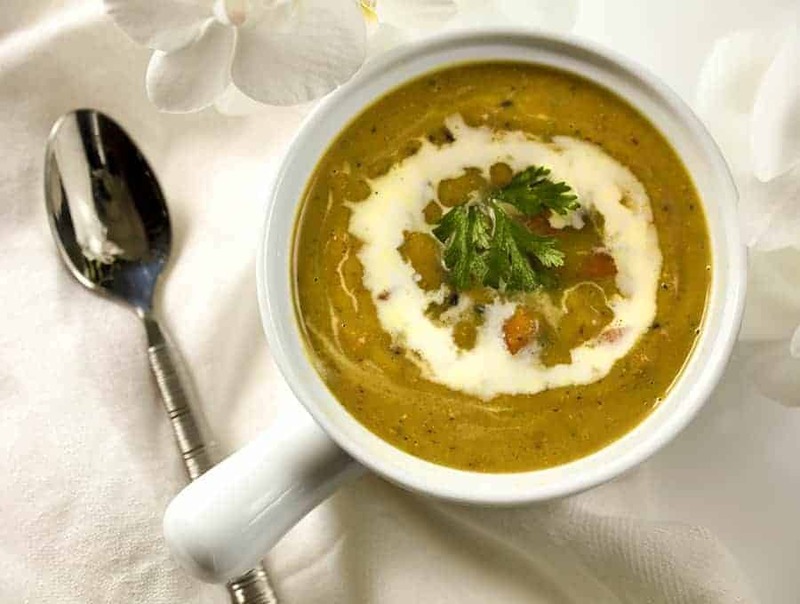 WANT TO TRY ANOTHER DELICIOUS MOONG DAL SOUP? CHECK OUT MY PRESSURE COOKER INDIAN MOONG DAL RECIPE! 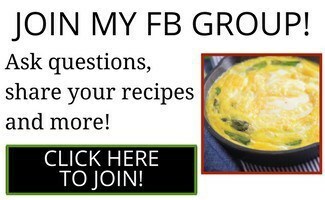 Want to try a delicious traditional soup that is high and protein? This Instant Pot Moong Dal Soup is made super easy in your Instant Pot! Place the water, lentils, onions, carrots, ginger, garlic, pepper salt, turmeric, cinnamon, cumin, coriander, and salt into the inner liner of your pressure cooker. Cook at high pressure for 10 minutes. Allow the pot to sit undisturbed for 10 minutes, and then release all remaining pressure. Use an immersion blender to puree about soup until you have a smooth mixture. In a small heatproof pan or a tadka ladle, heat the ghee. When it is shimmering hot, add the cumin seeds and allow them to sizzle, about 30 seconds. Add the garlic and let it sizzle but be careful not to burn. Pour this hot flavored ghee onto the soup and mix well. Serve immediately with a swirl of cream on top of each bowl of soup. Why no nutritional information? Dals, particularly Chana Dahl, have low glycemic indexes. But they’re still legumes and therefore high carbs. Wondering whether I can stay in ketosis consuming any Dahl’s, but without the nutritional information I’m not going to risk it. Hi can you update recipe to show what you do with the carrots? I’m assuming they go in with the lentils and onion but the recipe doesn’t say for sure. 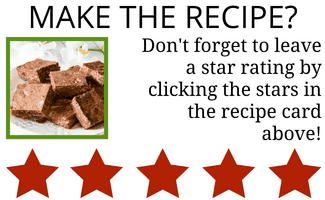 I love every recipe of yours that I’ve tried hope this one’s just as good. This is so good!!! I’ve had my IP not even a week yet and this is the 3rd of your recipes I’ve made in it. 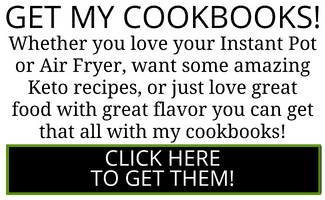 They’ve all been a success and I’ve ordered your cookbook.